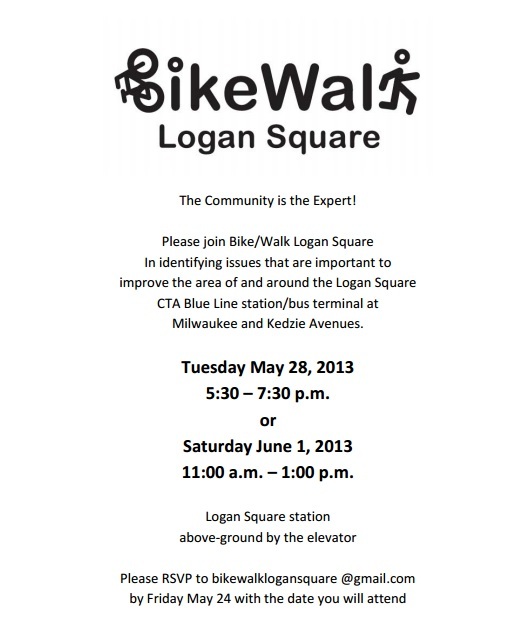 Bike/Walk Logan Square invites you to add your voice and critical eye to evaluating the Logan Square station. Join us May 28 or June 1. This entry was posted on Monday, May 20th, 2013 at 12:47 pm and is filed under Logan Square, Milwaukee Ave., place. You can follow any responses to this entry through the RSS 2.0 feed. You can leave a response, or trackback from your own site.